This is the 5th or 6th book published by XLRI Professors within last 2 months!!! This book takes a close look at the General Agreement on Trade in Services (GATS) under the WTO, a multilateral trade agreement with a purpose of liberalising services trade. The book is divided into two parts. 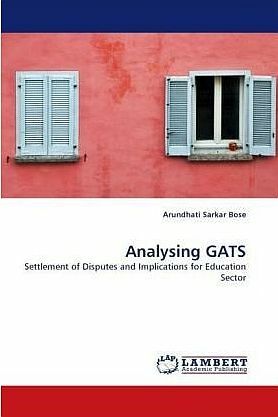 Part A looks into the ambiguities present in the trade laws in GATS and how some of these ambiguities have been resolved though settled disputes in the WTO. Part B of the book looks into one particular service sector, that is, education services and analyses the implications of liberalising market access to foreign suppliers in this particular sector. Researchers and scholars of International Economics, Business Economics, Trade Law and policy makers will find the work useful. 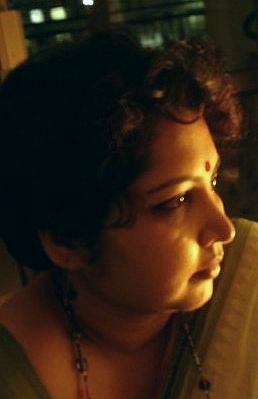 Dr. Arundhati Sarkar Bose is M.A. M. Phil. and Ph. D. from the Centre for Economic Studies and Planning, JNU, New Delhi. Before joining XLRI, she taught at Lady Shri Ram College, New Delhi and Miranda House, New Delhi. She has also taught in an external program of the London School of Economics and worked as a research fellow at IIFT. Her area of research is International Trade and Finance, Labour Economics and Economics of Education.